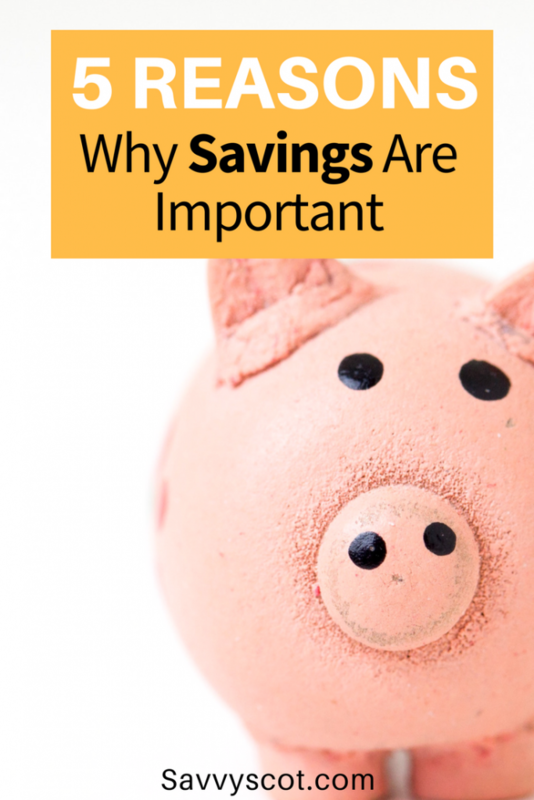 We all know how important savings are… or at least we have probably been told this throughout our lives. But why? Why should we put money away that we could spend now? Why sacrifice buying things when you could have them now? Why live frugal when you can live in luxury? I don’t claim to have all the answers, but I have FIVE that may help convince you to start saving today. This sounds trivial, yet is so true. Whether it be a washing machine blowing up or an unexpected car repair, you just never know when you are going to need money. There is no way of knowing when things are going to go wrong – but you can be prepared for when they do. Saving for this eventuality. If I can persuade you to do only one thing, put some money away as a contingency plan, for a rainy day. Start an EMERGENCY FUND. Automated deposits to various savings accounts can help. If I save £200 per month right now @ 24 years old, for 36 years (until I am 60) and assume an interest rate of 6% (I am going for slightly higher risk options given the long term investment) I will end up with a nest egg of over £300,000. Sounds good right? If I decide damn I can’t be bothered with this yet and wait until I am 30: This decision would cost me about £100,000. How can this be? 6 years at £200 pm (£2400 per year) is just over £14k I hear you say… welcome to the concept of Compound Interest. Effectively I am stopping my savings accruing faster and depriving them of interest. If you don’t believe me, work it out on a spreadsheet. It will literally blow your mind! It doesn’t matter how seemingly insignificant your contributions are now; these amount up over the years and you can always add to them at a later date. By saving money you save yourself worrying! It’s simple! The fact that you can grow old knowing that you worked it out and you know what you will end up with and you know that you will be comfortable is such an amazing feeling. There will be a newer model available in 6 months and you will no longer have the latest version. Short-lived or what? There are so many options when it comes to savings accounts. Fixed term savings accounts are handy if you have a set target in mind, where as other options may meet different needs. Don’t be one of the middle-aged people full of regret of not starting saving when compound interest can really make a difference – make that difference today. What are your saving strategies? Do you have multiple accounts for different things? Do you use automated deposits from your paycheck? Do you have your savings account hidden from online banking as a deterrent? The sooner you can stop living paycheck to paycheck and start saving, the better. If you’re not saving money, you are likely wasting money on interest charges when you do suddenly need cash for something bigger. Plus, saving for retirement can get pretty overwhelming if you leave it off too late. I have a bunch of different savings accounts for my savings so that I can always do a quick inventory of how much I have saved towards each goal. Saving is so important, especially for the things you listed above. Another one I can think of is not going into debt when you want to buy something. I personally don’t use automated banking except for my RRSP, but I like to be in control of exactly what i’m transferring. 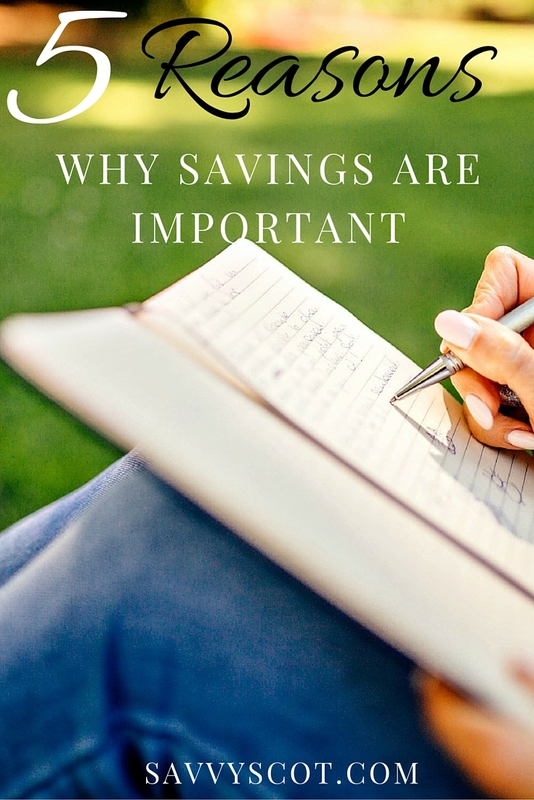 I agree that savings allow you to stop worrying so much. I have a few accounts. One is the true emergency fund. One is for stock investing. One is a “secret” account. I don’t check it that often and have some money auto deposited each pay check. It’s supposed to be for fun money, but could also be used in emergencies. Great post Savvyscot! I think you hit the nail on the head! I could completely relate to the excuses mentioned. I think most of us don’t really come to this realisation until our mid-twenties. So now I find myself trying to be more frugal so I can put away more funds to make up for lost time. Nice one Scot. As I said in my recent post, my Dad always said “Always expect the unexpected” when I was a kid. It seemed like a contradiction at the time, surely impossible? But now as an adult it makes more and more sense. Still impossible to achieve though! I used to have some premium bonds until the interest rate on the prizes went so low it wasn’t worth holding them. But at the time you had to fill in your form and send the certificates off and wait a week to cash them in. Now it’s all online with everything else there are few places left where savings can be put out of reach. Down to discipline and willpower now. Drew @ ObjectiveWealth recently posted..‘Emergency Fund Man’ To The Rescue! For me, it’s the need for some emergency savings that is most critical. You need a contingency fund to fall back on if the car breaks down, the roof of your house is damaged, or you lose your job. Best of all, if you have some decent savings, you don’t need to waste money on expensive warranty insurance products. You can self-insure and cover any unexpected breakdowns from your own cash buffer. Some good quality sound advice. One of the most important things for anybody wishing to increase their wealth is propper planning. with a plan of action even small amounts of saved money can be transformed into an ever increasing nest egg, all, it takes is time and a little effort. Good luck! It is never too late to start. I have been helping my mom with her budget. At 81, the cost of living is going up and her income is limited. I found that she could keep a few dollars as a buffer each month so she is not over drawn in her checkbook, and then that money is put in an emergency fund the following month. Anyone can do this. Even if it is $5. The trick is to curtail spending and be satisfied with what one all ready has.